Memorial services for C. Dean Yonts will be held Thursday, July 12 at 11 a.m. at the First Presbyterian Church in Scottsbluff, Neb. Dean, 61, died July 6 in Scottsbluff after an extended illness. He was born Jan. 11, 1951, in Powell, the son of Harold and Eva Yonts. He attended school in Byron and graduated in 1969. He enrolled at Northwest College and graduated in 1971. He went on to attend the University of Wyoming where he obtained his bachelor’s and master’s degrees in agricultural engineering. He married Kathryn “Kathy” Ann Books Sept. 7, 1975, in Kemmerer. The couple moved to Scottsbluff, Neb. 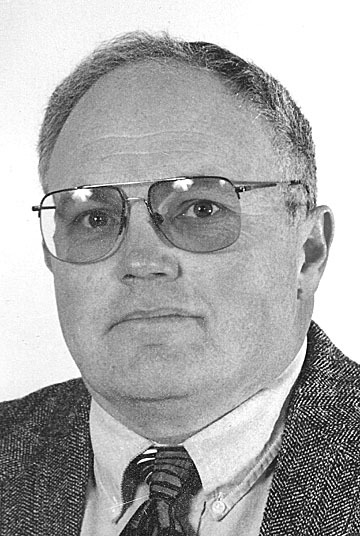 Most of Dean’s career was spent working in irrigation water management as an associate professor at the University of Nebraska Panhandle Research and Extension Center in Scottsbluff. He enjoyed his work and liked working with producers in the “Wyo-braska” area. Dean was very involved in youth activities. He coached soccer, softball and baseball, helped with Boy and Girl scouts and taught Sunday school at the First Presbyterian Church. His parents, Harold and Eva Yonts, preceded him in death. He is survived by his wife and daughter Marissa, both of Scottsbluff; his son Travis of Omaha, Neb. ; three brothers and two sisters-in-law, Robert and Barb Yonts of Casper, Delmer and Peggy Yonts of Grant-Valkaria, Fla., and Larry Yonts of Powell and his sister and brother-in-law Gary and Linda Yonts Pangburn of Greybull. A memorial fund has been established to Brent’s Place, a patient-assistance organization in Denver, in care of the family, or to the charity of the donor’s choice.